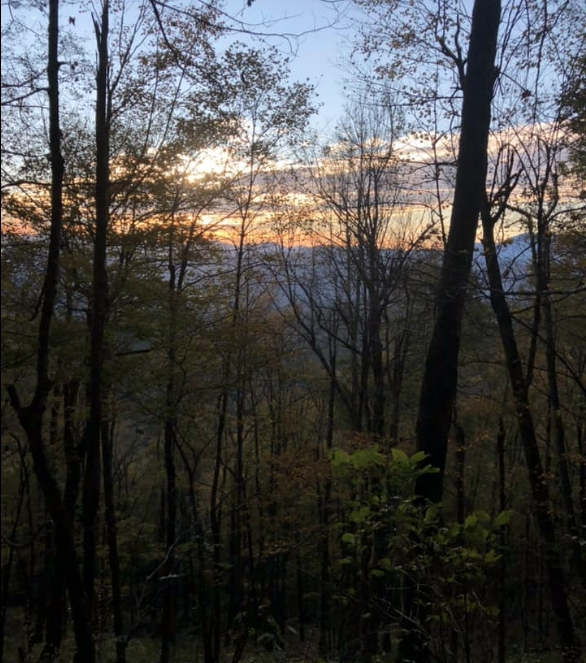 From someone who wishes more than anything she was back on the Appalachian Trail, here are a few pieces of advice I have for you. For some of you, I may sound like a broken record. For others, I hope you hear this advice and run with it. These are a few things I wish I had known before my 2018 flip-flop of the AT. My memory is terrible. If I close my eyes and try hard enough I can muster up some images of my favorite moments on the trail. But this is heartbreaking. There are so many moments I wish I could remember. While I really wish I had a GoPro on for the entire six months that I was hiking so I can relive all of it, that wasn’t going to happen. Therefore, whip out your phone and capture the moments. The amazing views, the trail angels you meet, your hiking buddies, the places you eat. All of them! I have a binder of over 600 pictures that I pull out and obsess over (often with a glass of wine and lots of tears). Why? Because it makes me feel like I am out there again. And believe it or not, I still wish I had taken more pictures. One of the greatest things about being on the trail is you have no agenda. However, I recommend waking up for sunrise a few times. I did not do this often, but some of my hiking buddies had some beautiful experiences. When we are away from our busy city lives, we get the added bonus of little city light pollution. Some views of the stars will be absolutely amazing (especially in New Hampshire). Hiker midnight will sneak up on you quickly and we often found ourselves cozy and ready for sleep by 8 p.m.
Just make some time, a few nights of your adventure, to witness these things. People assume when you go on a long-distance backpacking trip you will be roasting s’mores every night and singing kumbaya. While I wish this were true, campfires are not as common as most people think. Challenge yourself to build a campfire several times while on your trip. Then start conversations with your hiking buddies. Ask the simple questions like, “Why are you on this hike.” You won’t regret this experience. Gasp! Cut out the beer runs? That’s not what I’m saying. I witnessed a lot of people blow their budgets by binging on the booze several nights a week. If you can do this financially, that’s awesome. But it adds up quickly and you don’t want it to be the reason you can’t finish your hike. If you have budgeted well, then you may be able to enjoy some perks of the trail. The $15 huge burger; do it! A random movie showing in Hanford when it’s 100 degrees and the theater has AC? Buy that ticket and a large, buttery popcorn to go with it. 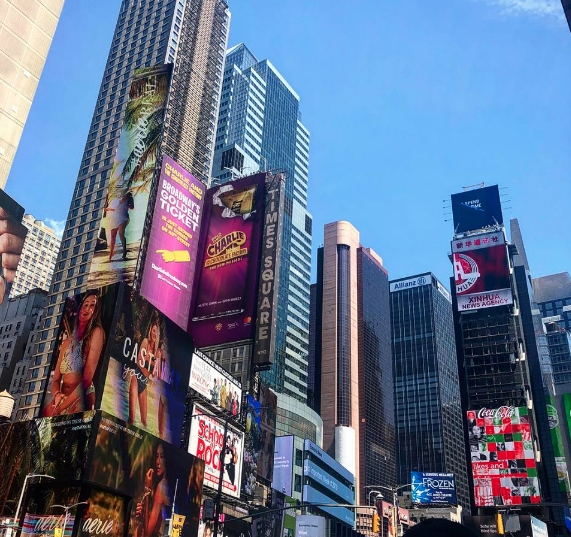 You can even squeezed in a trip to New York City. We recommend to take advantage of the train near the trail. Although be advised. The noise and commotion of NYC was a bit overstimulating after being in the woods for months. If you have started your hike and take a moment to look back on your experience so far, have you enjoyed it? Sure. It will be the hardest thing you might ever accomplish, but is it an experience you are happy to be having? I met some folks who were super concerned about busting out big miles for no real reason except to say that they had. But they were not enjoying themselves, at least not as much as they hoped they would. If the option is between busting out another five to ten miles for the day or swimming in a beautiful lake, pick the lake. The rumors about leeches may be true, but just have a friend leech check you while tick checking. I cannot wait to see how your adventures unfold, and hope to see you all at Trail Days 2019. PS: If you are planning on attending, especially if you hiked in 2018, comment below and let me know. This weekend spent a couple of hours just re-reading my trail journal and looking at pics. Those memories stir the soul…(took one minute video clips each day—Wish I had done it every morning and evening) You can NOT take enough pics…especially if the people you meet. Don’t know if i’ll see you at Trail Days but glad y’all completed the Trail. 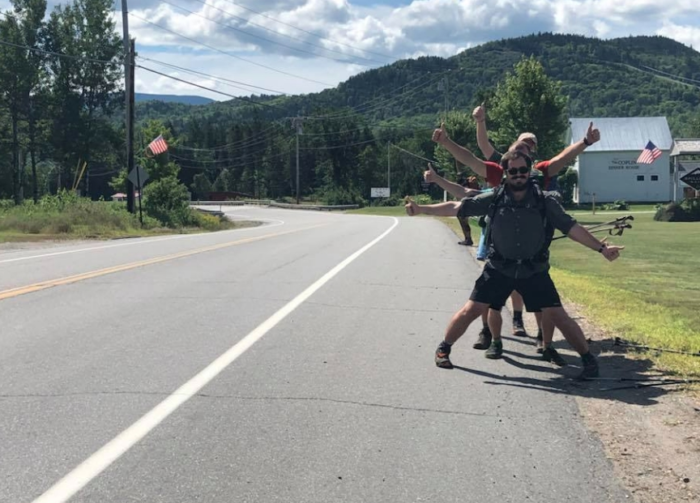 We met “on your honeymoon” at Hikers Welcome Hostel in New Hampshire (the broken leg guy that had just come back out) just before climbing Moosilauke. Think of y’all more than you know as I look at my ‘Hiker flag’ you signed and love Moose’s drawing/signature. Not so many that you are not present for the actual moment. And remember to take photos of people and things, shelters and angels, not just the pretty views that never look as pretty in a picture, anyway. Seeing your swimming photo….. if you are a swimmer, take every opportunity to swim you can along the AT. Especially in high summer, in the mid-Atlantic, it’ll cool you off and improve your day immeasurably (yeah, even in Nuclear Lake!) 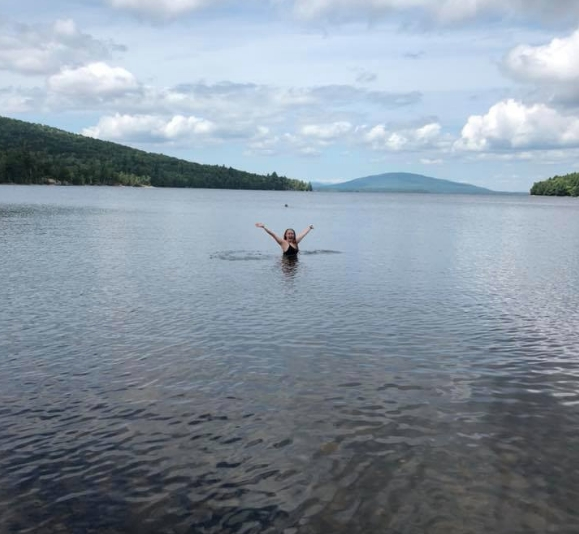 And if you get to Maine in time, those ponds up there are heaven for swimming. Campfires are great, but they do have an impact on the areas around shelters, especially. Pack out your toilet paper. It’s super easy, and truly no more gross than a lot of other things you’re already doing. I carried a separate plastic bag for used TP, and stowed it inside my OPsak, odor-proof garbage bags. When I got to town, it went in the trash with everything else. And remember, just because you *can* knock out huge miles through northern Va. and the mid-Atlantic, doesn’t necessarily mean you should. 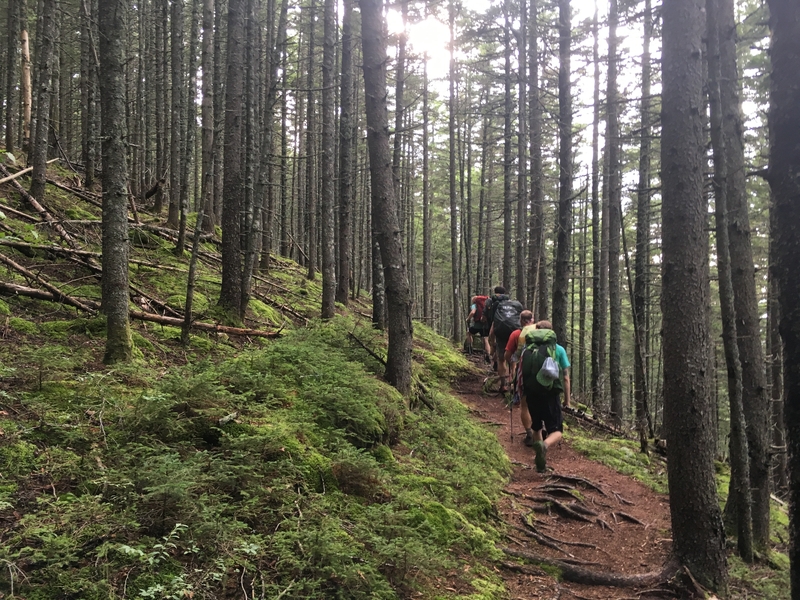 The stress of a thru-hike on both body and mind is cumulative for many hikers, and I came close to burning out in Vermont because I pushed too hard earlier. Finally, if you enjoy your hike, I hope you’ll consider giving back to the trail — or some trail — in some way when you are finished. Give a donation, no matter how small, to the ATC or a maintaining club whose efforts you appreciated. Volunteer for a trail crew with the ATC or a maintaining club, or on a trail nearer to your home. Just one mournful hiker’s thoughts in between wishing he was back out there….